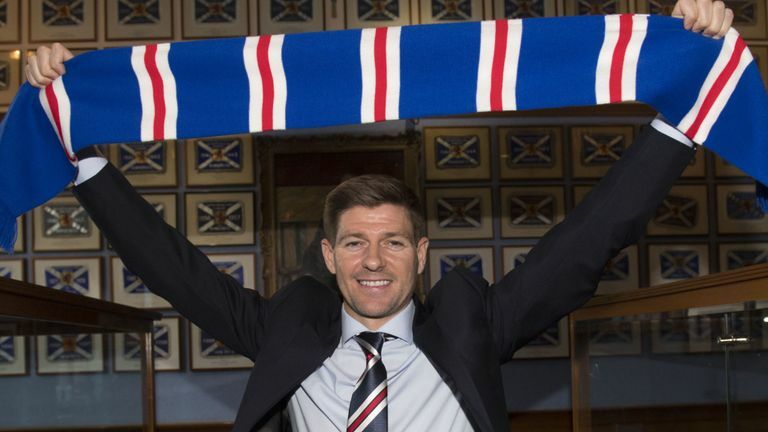 Ibrox Noise: Is Steven Gerrard serious about move for fellow England legend? Is Steven Gerrard serious about move for fellow England legend? New Rangers manager Steven Gerrard has been linked with a sensational move for Everton’s Wayne Rooney, according to reports. The 32-year old former England striker is under contract at Goodison and manager Sam Allardyce, himself formerly linked to the Ibrox job, says it would have to be a sensational offer to see Rooney move on. But Rooney himself says Steven Gerrard is the greatest England captain of the modern era, and an ‘incredible player’ and one suspects if Stevie Ger actually wanted Rooney, it wouldn’t be impossible. "I'd have to say Stevie [is the best England captain I've played for]. For me he's an incredible player, an incredible leader. He helped me a lot during my early days with England." "Yes. There are rumours about Wayne going elsewhere abroad - in China and America - but at the moment he is an Everton player and an Everton fan. So I wouldn't consider anything on the cards at the moment. It would have to be massive for him to want to leave Everton." It’s true he’s back home playing for his boyhood team, and that’s a huge draw, but one does suspect if Gerrard was interested in him, he might be able to tempt him north. He would certainly be more appealing than China or the USA. Players go there at the end of their careers, not when they’ve still got years left to give. 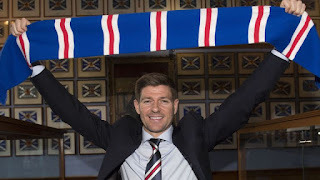 As we said before, there may be incredible cases where Rangers can now get players they could never have dreamed of before, just because Gerrard is the boss. Let the madness begin and he's not even Clocked On Yet!!! £12M to the USA. Plus wages. Rangers cannae compete.